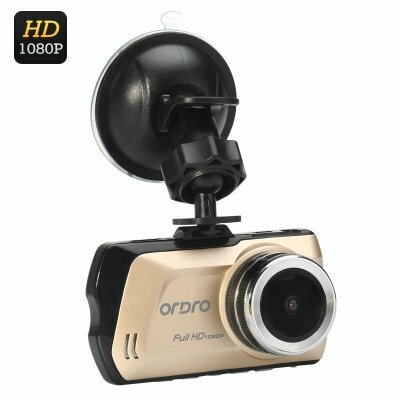 Successfully Added Ordro D1 1080P Car DVR - 3 LCD Inch Display, 150 Degree Wide Angle, G-Sensor, H.264 Video Compression to your Shopping Cart. The Ordro D1 DVR comes with full HD resolutions, letting you capture 1080P footage at 30 frames per second and snap clear photos with the 1/4 Inch CMOS AU3522 Sensor. The dash cam comes with a 150 degree angle lens to capture more of the background and a 3 inch LCD screen for you to conveniently review the footage. This DVR comes with a nice set of safety features: LDW (Lane Departure Warning) and FCW (Forward Collision Warning). With them, you will be warned when your vehicle starts to cross into another lane or gets too close to the car in front of you. The Ordro D1 also comes with loop recording and automatic power-off. As it uses H.264 compression it ensures your footage takes as little storage space as possible so you can make the most of your SD cards. The Ordro D1 1080P Car DVR comes with a 12 months warranty, brought to you by the leader in electronic devices as well as wholesale car DVRs..